Trading is a business of probability. Every trader will take losses, so we need to use protective stops. Many traders take profits quickly but hold on to losing trades – it’s human nature. We take profits because it feels good, and we try to hide from the pain of losses. This can be previous highs/lows, pivot levels, Fibonacci, etc. S/R aren’t lines but zones. Meaningless with regard to the chart and price action. HOWEVER, #1 rule: Must be within your money management rules: No more than ½ of 1% of your trading account. Some traders use this technique because they say you have to allow room for the “noise of the market. So how do you keep that rule and still allow for the noise of the market? You don’t! You need a way of identifying the noise of the market and trade when it is removed from price action so you get more low-risk, precise entries. When the reason for your trade no longer exits, then your trade should no longer exist. The best risk management is an excellent entry. For me, it’s always a Cycle High/Low. Gives laser-sharp accuracy so risk is only the range of a bar to a bar and a half on every trade. These are 10 things I changed in my trading to become successful over the last 50 years. They’re also the top 10 things that have helped my students shift from losing money to making money. Bottom line, no general theories or abstract ideas here. 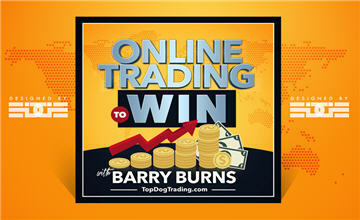 This is the practical stuff that can really work to bring real and dramatic change to your trading results.